Does Adding Security Features Reduce Home Insurance Premiums? There are several things you can do to reduce your home insurance premiums. You can raise your deductible, comparison shop or even move to a new neighbourhood. A persistent belief exists that you can also reduce your home insurance premiums by installing home security features, but does that belief hold any truth? As a matter of fact, the answer is yes - home security features can yield a discount on home insurance premiums. In their most recent crime statistics report (2015), StatCan states that police-reported robberies were on the rise for the first time in eight years. 2015 saw a 5% increase over 2014, totaling approximately 22,000 cases across Canada. With robberies on the rise, it is in the best interest of both homeowners and insurance providers to secure a property as thoroughly as possible. As a provider, your insurance company wants to assume the least amount of risk possible. The higher the risk of your home, the more likely a claim will be made, the more likely the insurance company has to pay out. By installing a professionally monitored security system, you reduce the likelihood of theft, as well as severe fire and water damage. This in turn lowers your probability of filing a claim, and the likelihood that the insurer has to make a payment. Ultimately, this results in a lower premium. Installing a home security system comes with an initial cost (and many options carry ongoing costs), but you can save anywhere from 5% to 20% on your annual home insurance premiums. The extent of your discount depends on a few factors, such as your insurance provider, the location of your home and grade of your security features. As with all types of insurance and the respective associated discounts, different providers calculate the cost of premiums differently; one provider may value certain security features over another, while a second provider may hold the opposite opinion. 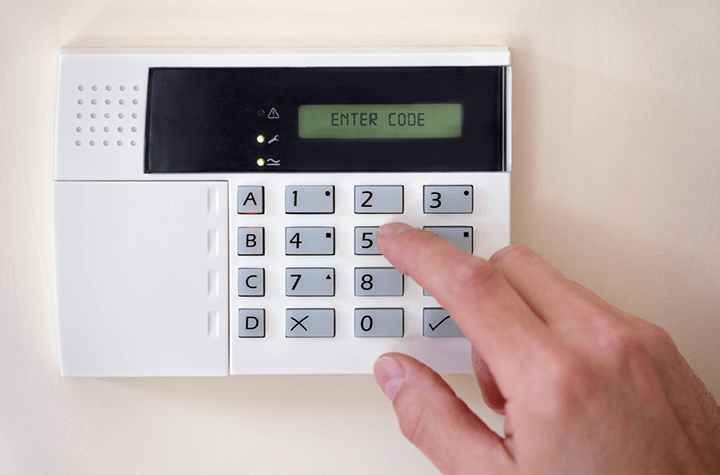 Without a fixed equation that explains how each feature will impact your rates, it is best to talk to your broker before making any decisions about home security. That said, the best discounts go to those who invest in the best security systems. Decoy cameras aren't going to have much of an impact compared to a state of the art security system. Many providers insist their clients opt for a professionally monitored alarm system with up-to-date technology to obtain the best rates. The other factor to remember is the potential cost savings of avoiding a break-in, or flood or fire. If you get a text when your front door is opened, or you can take a look at your basement mudroom from your tablet, you can have the police sent to your home during a burglary or leave the office to shut off the water when a pipe is leaking. Though you may be covered for damage in these situations, you still have to pay your deductible. So even if the cost of your security system exceeds the discount on your premium, it may still be worth it financially, as well as for the peace of mind that comes with knowing your home is protected.